Although properly pruned trees are indeed most often the dominant accents on any landscape, many other plant specimens are also found within residential or commercial properties. These often include small shrubs and hedges. We believe that it’s important for these smaller shrubs and hedges to be healthy and also properly pruned in order to tie in all of your landscape and treescape together, and to add dimension to your visual environment. A well-shaped hedge is no accident. It must be trained from the beginning. 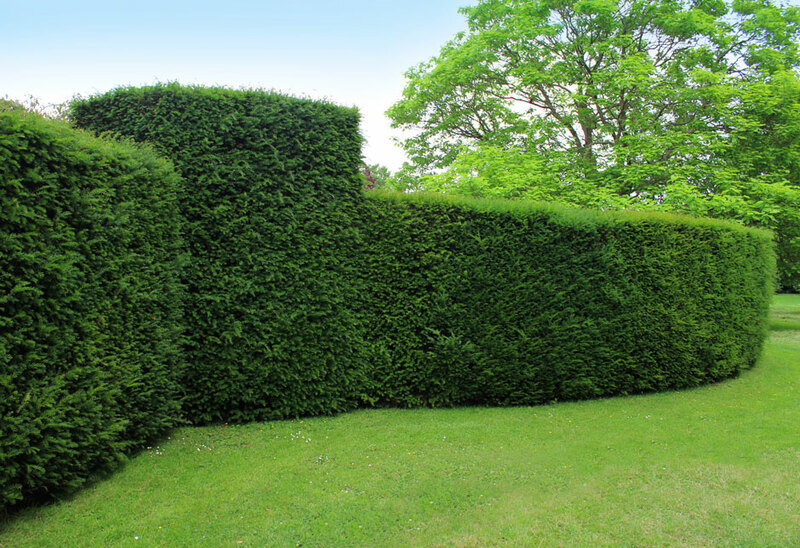 Hedges consist of plants set in a row so as to merge into a solid, linear mass. They have served gardeners for centuries as screens, fences, walls and edgings. How often you service shrubs and hedges depends on the type of plant to be trimmed. Slow growing hedges such as cedar, boxwood, yew or hemlock are normally trimmed once per year. Proper pruning is essential in maintaining the vigor, shape and form of shrubs for a desirable and long-lasting landscape effect. Most established shrubs should be inspected and lightly pruned on an annual basis to keep the plant contained and its growth vigorous. Too often pruning is ignored and the shrubs become overgrown and weak. Drastic pruning is then needed to reduce plant size, which may result in disfigurement and loss of vigor. Drastic or incorrect pruning also may increase plant susceptibility to insects, diseases and environmental adversities and may reduce flowering and fruiting.